I really want Ikea breakfast. Because it's yummy and cheap. Except when you factor in forty minutes of driving and toll roads. Then it's not cheap at all. In fact, it's quite over-priced. Come on, Ikea, work with me here. Yum! That was soooooooo good! We should do it again soon! 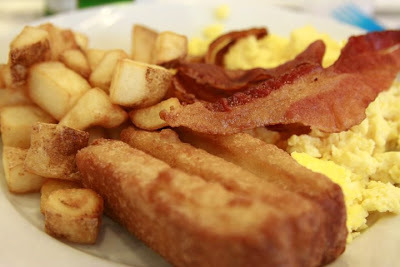 ugh breakfast sounds soo good right now!